At a time when the United States debates how deeply to involve itself in Iraq and Syria, Lieutenant Colonel Michael Zacchea, USMC (Ret. ), holds a unique vantage point on our still-ongoing war. Deployed to Iraq in March 2004, his team's mission was to build, train, and lead in combat the first Iraqi army battalion trained by the US military. Zacchea tells a deeply personal and powerful story while shedding light on the dangerous pitfalls of training foreign troops to fight murderous insurgents. 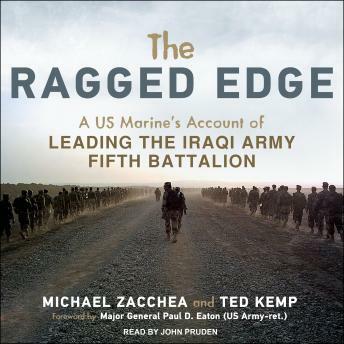 The Ragged Edge is the first American military memoir out of Iraq or Syria that features complex Arab and Kurdish characters and that intimately explores their culture and politics in a dispassionate way. Zacchea's invaluable lessons about Americans working with Arabs and Kurds to fight insurgency and terrorism come precisely when such wartime collaboration is happening more than at any time in U.S. history.